About 10 miles Northeast of Portland, stretched out along the Columbia River there are 26 acres of fertile land called Sauvie Island. One of the county’s largest river islands, Sauvie Island is inhabited primarily by farms and visitors are welcome to come out and pick produce and flowers to their heart’s content. This summer I saw dense blackberry bushes, firm plump blueberries, supple, bright, red raspberries, huge fragrant peaches and nectarines, and each season brings with it its own delectable crop. The quiet roads here are dotted with “U Pick” signs listing what crops are available at each place. The Pumpkin Patch is one such family farm, open for picking from June through October. 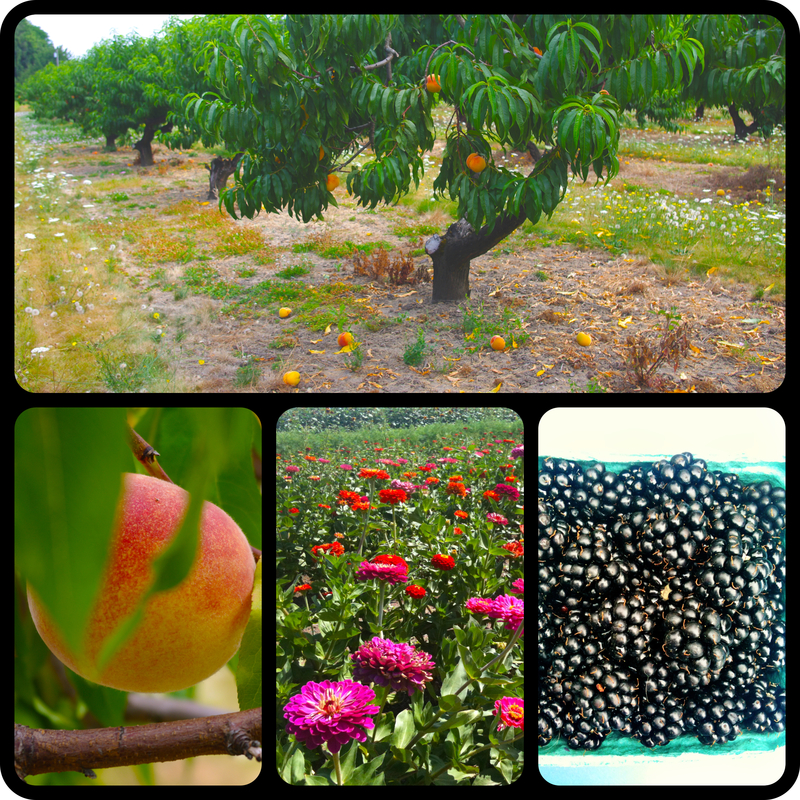 They have beautiful fruit orchards and fields of flowers to cut as well as a produce market with incredibly cheap prices on fresh organic local produce. Pick and eat your fruit as it is or stock up and get baking when you get home! thanks Claire! We did indeed feast on blackberry crumble when we got home!